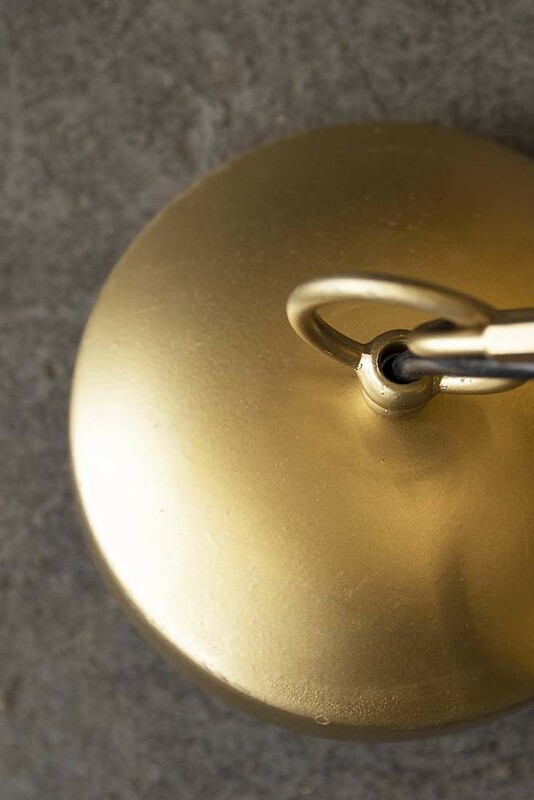 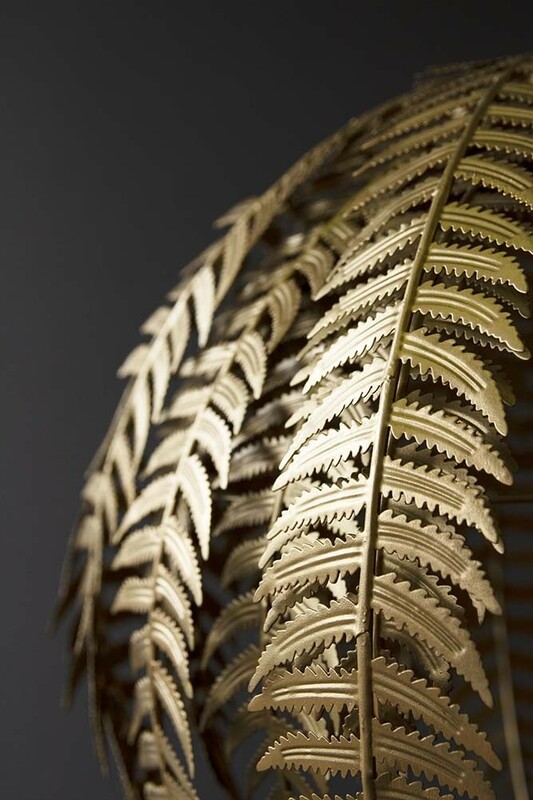 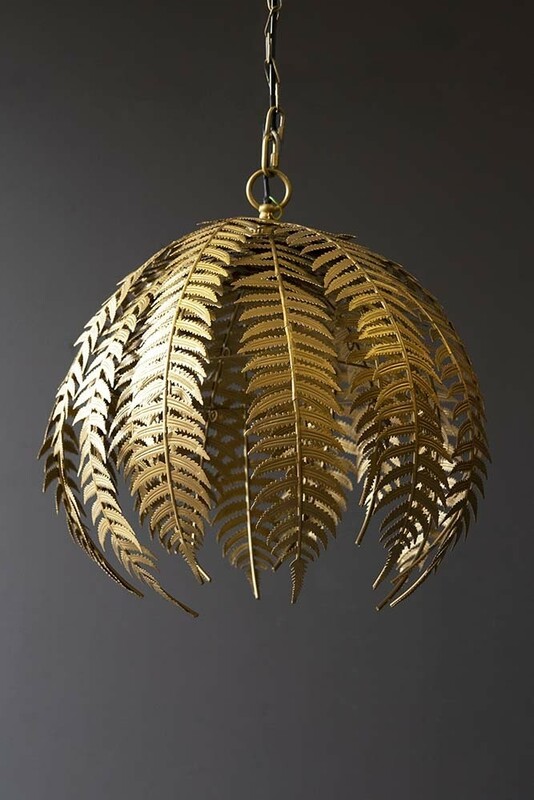 A stop you in your tracks ceiling light; the Gold Fern Leaf Pendant Light is the epitome of statement lighting. 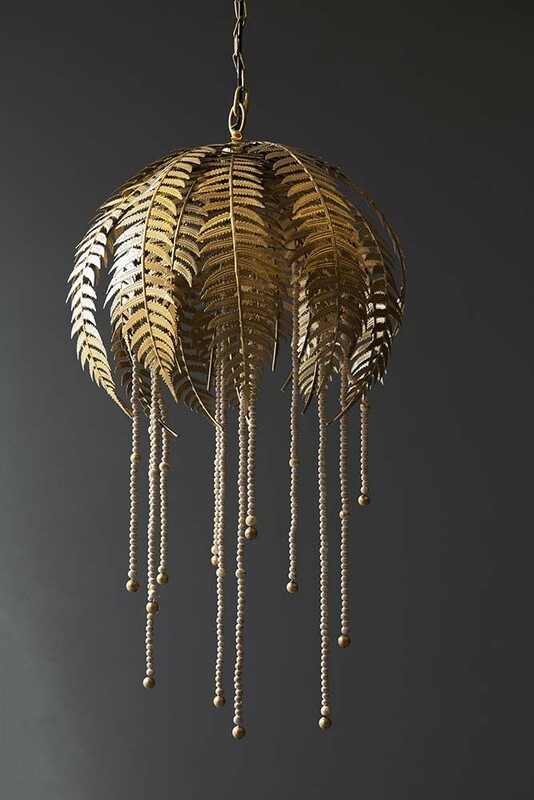 Gilded in gold with a sharp silhouette that will create shadows which will dance across the walls in your home, this stunning feature light is a back-to-nature piece with a modern luxe twist! 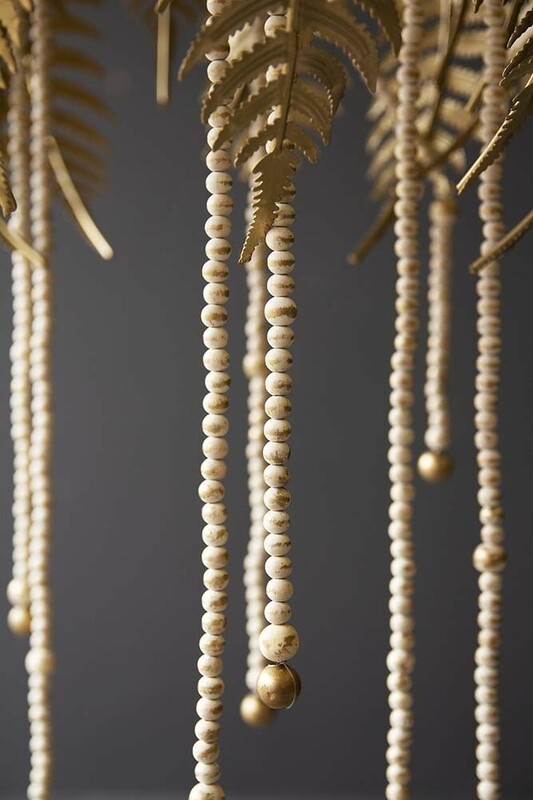 A ceiling pendant light that is accessorised with gold fern leaves and detachable hanging beads that you can choose to display or not, it is absolutely guaranteed to take your interiors to the next level! 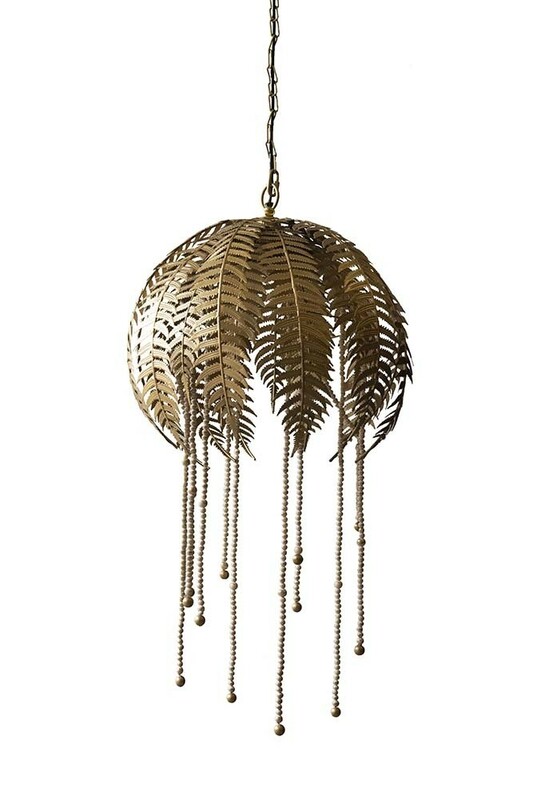 A fabulous pendant light that will liven up your ceilings, the Gold Fern Leaf Pendant Light can be hung in the hallway or above your dining table, but we think that it would look particularly spectacular when hung in an unexpected place such as the kitchen! 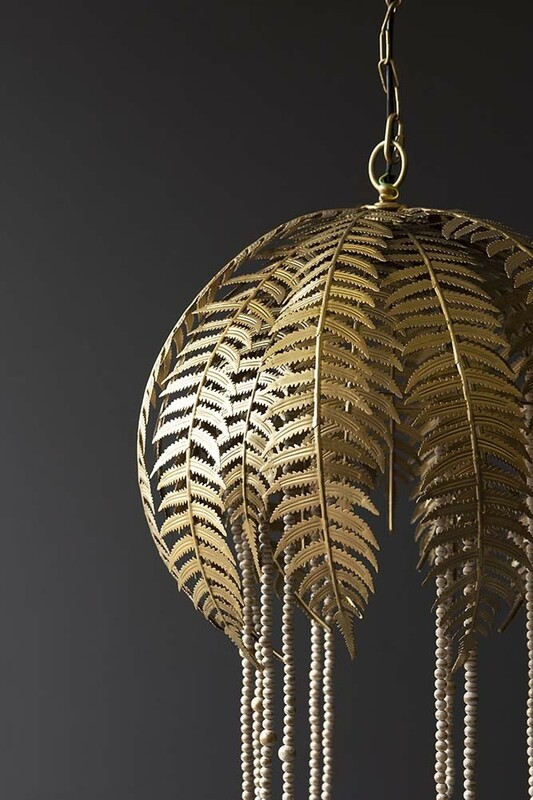 A showstopping statement light; the Gold Fern Leaf Pendant Light will create a stunning effect in the home.